Which quadrant is your company in? Organizations need to translate insight into revenue, not just talk about it. Quick Start Strategies is the best way to benchmark your performance and implement revenue solutions that enable you to move from insight to impact – quickly. Getting From Insight To Impact – Quickly. Quick Start Strategies is a services company that focuses on improving your lead-to-cash lifecycle. We focus on the science of sales – it’s in our DNA. Our Revenue Analyzer correlation engine examines the structure of your analytics, finding patterns between data elements. Our team of experts translate the findings into actionable recommendations, assist in the implementation of best practices and measure the impact of the overall solution. Transform your existing data and analytics by uncovering information that impacts revenue performance. 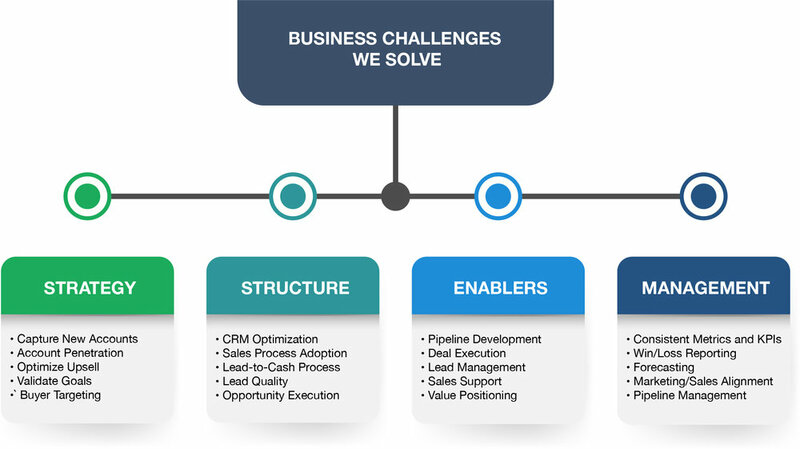 Implement solutions that improve your processes, enhance existing technology and build your pipeline. Empower your team to improve data quality and forecast accuracy without significant investment of time or effort. The purpose of the study was to gather and correlate a unique set of self-assessment metrics that will allow sales teams of any size to benchmark themselves against High, Erratic or Underperforming sales teams. Thank you for registering to download the 2018 Revenue Performance, Predictability and Insight Study. Please please click here to view and download the study.